Aras Corporation is an American developer and publisher of product development software, Aras Innovator. The product is used for product lifecycle management and other purposes. Platelet BioGenesis has created the world's only method of producing clinical- grade human platelets from induced pluripotent stem cells. Libboo's mission is to help talented authors get discovered in a crowded space. Disruptor Beam, Inc. is a developer of mobile and social game products based in Framingham, Massachusetts. The company is known for developing social and mobile games based on Game of Thrones, The Walking Dead and Star Trek. 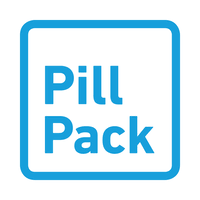 Pill Pack is a full-service online pharmacy that packages your medication and delivers to your door every month. SemiNex Corporation manufactures high power diode lasers in the 1270 to 1700 nm wavelength range for military, medical, cosmetic, and dental applications. VKernel Corporation develops performance and capacity management solutions for virtualized data centers/infrastructures and cloud environments in the United States and Europe.